Virtual reality technology is being used in aviation in exciting new ways. It’s often been the brave men and women of aviation who have been willing to take chances on the latest breakout tech of the day, and stepping out into the VR world is no different. The latest VR technology is being used not only for professional pilot training; it’s also being used to successfully treat individuals with a phobia of flying, and get Air Force personnel suffering from post-traumatic stress disorder (PTSD) back into the pilot’s seat. 2019 is being called a make-or-break year for virtual reality – here’s what to expect. Although all pilots, including Air Force, commercial and private jet pilots, have been trained in flight simulators for almost 100 years, virtual reality technology will become the way all pilots are trained in the future. The benefits are obvious – VR pilot instruction systems can make professional flight training more affordable and accessible (especially important to get more people trained up to sort out the critical pilot shortage) and improve general aviation safety. Until now, VR has had limited application in the world of aviation but two technology breakthroughs are dramatically increasing its effectiveness as well as its applications. The first is the increasing realism of virtual reality. Take a look at DCS World’s soon-to-be-released F-14 Tomcat for the latest in digital battlefield simulators. Developer, Heatblur, has achieved extraordinary detail in the external and internal graphics model by using laser scanning and photogrammetry from real Tomcats, corroborated by genuine F-14 pilots. It’s this realism that’s allowing an increasing number of people with a severe fear of flying to be treated using VR real-life environments. Therapists are finding that the unconscious mind can’t tell whether the situation is real or fake which makes the patient act and react as if they were on a real airplane. The second breakthrough in virtual reality is a sense of touch technology. Knowing you have to flip a switch in a certain situation, or pretending to pull on the yoke, is very different from carrying out these actions in reality. Pilots will tell you that sense of touch is an integral part of the flight experience, and that the result of transferring the simulated experience to real-world situations can result in uncertainty or disorientation. 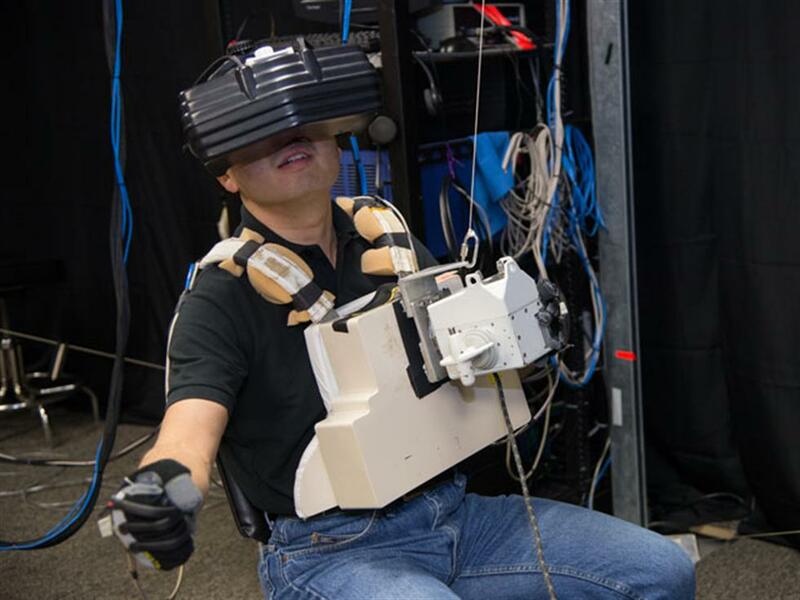 Now, one of the most exciting advances in VR technology – the haptic system (or “force feedback” in video gaming and military training applications) – can conduct vibrations, motions or sensations to the user to recreate the sense of touch. So, a pilot feels the motion of her seat in severe weather conditions or the pressure of every switch and instrument adjustment. This is why its application is being successful in treating pilots with PTSD. Of course, the potential of virtual reality technology goes way beyond aviation. It’s already being used to train workers in the use of heavy or expensive machinery (one of the most significant enterprise tech trends of 2018), and can even be used to help professional athletes catch and throw balls with more accuracy, or help trainee managers to get comfortable with public speaking. Employee training programs using VR and augmented reality (AR) are expected to hit the mainstream in 2019. Although the initial outlay for VR technology can be expensive, the expected wins for companies – taking less time to train more employees, improved health and safety, better interaction with customers, and exciting new tools for sales staff – will see many more organizations joining Walmart and Tyson who are already using mixed reality tech in their training programs. According to ABI Research, money spent on training programs could reach $6 billion by 2022. One of the biggest VR tech trends for 2019 will undoubtedly be improved access to more affordable VR headsets and development ecosystems for AR applications. Newer enterprise virtual reality systems with measurement capabilities, like StarVR’s new headset that boasts integrated eye-tracking and a 100-percent human viewing angle, will open up the market for medium-sized enterprises to use VR in their training programs. Recent missteps have seen the failure of smartphone VR to gain any traction in the consumer market with Samsung’s Gear VR and Google’s Daydream View disappointing when it came to an immersive experience while also working on only a small number of smartphones. Samsung has now turned to HDM Odyssey Plus, using the Windows Mixed reality platform, while HTC is due to release the Vive Cosmos which is expected to work with both PCs and smartphones. If the device fails to wow consumers, it could be an almost impossible task to convince them of the benefits of smartphone VR in the future. Solo – the Oculus Quest is being touted as the first “all-in-one VR gaming system”. The lighter headset with wireless controllers needs no sensors and will be launched in the US at the nifty price of $399. Expectations are high with VR-goes-mainstream predictions resting on this compact device. The future success of VR will also depend on developers’ ability to address the bugbears that most consumers have. 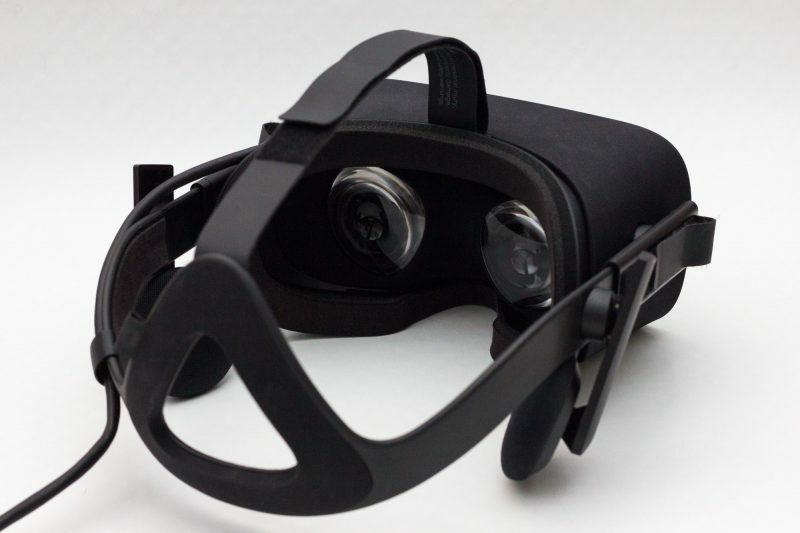 This includes improved eye tracking to solve the problem of nausea after just 30 minutes of VR immersion. Then there’s the weight and size of most headsets, which Oculus Quest might be able to solve. The third biggest obstacle to mainstreaming VR technology is the price of devices. As yet, there is no sign of VR manufacturers lowering their prices in 2019. A substantial increase in the number of people and enterprises using VR will attract an increasing number of developers and manufacturers to the industry. This would likely result in more VR technology breakthroughs and more competition in the industry. And with improved offerings and lower prices, VR/AR could become a part of everyday life with endless possibilities for improving both the VR and the real world around us.